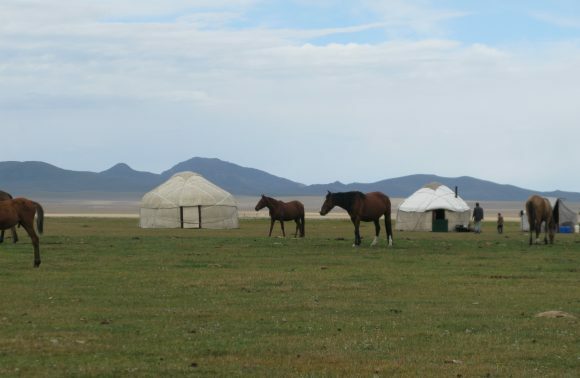 This 10 day comprehensive tour visits the most important sites along the Uzbek section of the Great Silk Road. From the remote Khanate of Khiva, to the winding medieval streets of Buhkara and the graceful symmetry of Samarkand’s Registan Square, discover the fascinating history of the legendary trade route. Arrive in Tashkent and in the afternoon explore the largest city in Central Asia, including Amir Timur Square, the Navoi Theatre and the earthquake memorial before visiting Chorsu Bazaar, a huge open-air market, and discovering the mausoleums and madrassahs of Old Tashkent. Take an early morning flight to Khiva and travel across the arid plains of Khorezm to the stunning city fortresses of Toprak Kala and Ayaz Kala. After time exploring the ruins, return to Khiva to stay overnight. 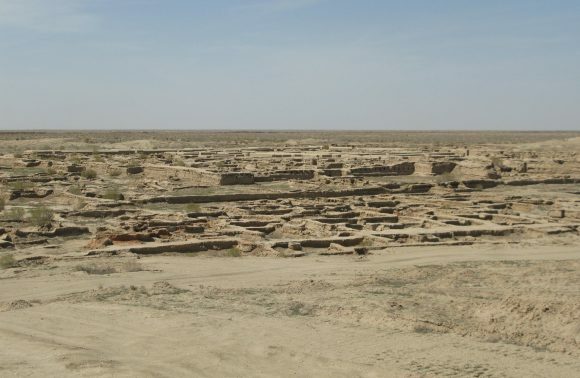 Today spend a day exploring the remotest of Uzbekistan’s ancient Khanates. The almost perfectly preserved citadel of Ichan Kala is a masterpiece of Islamic architecture, and you will have time to explore its many highlights including the bustling bazaar of Dishan Kala. Today is a long drive through the Kyzyl Kum, or Red Desert, to Bukhara. 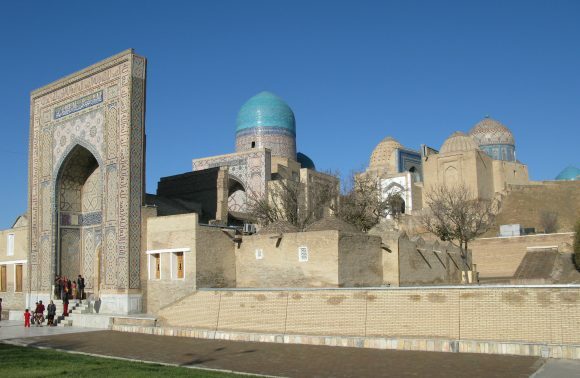 Bukhara is certainly the most atmospheric Silk Road city in Uzbekistan, if not Central Asia. Its medieval streets house mosques, madrassahs, caravanserais and trading domes where you can sense the ghosts of merchants and traders past. This morning travel out of Bukhara to visit the Sitorai Makhi Khosa, the palace of the last Emir, which is an eclectic mix of Russian and Central Asian design. In the afternoon, return to Bukhara to wander its magical maze of streets at your leisure. Today travel from Bukhara to Samarkand via Shakhrisabz, birthplace of Uzbekistan’s great hero Tamerlane. The summer palace of Ak Serai is an impressive sight, and was originally flanked with 65-metre high towers and had a 40-metre high arch at its entrance. Continue to Samarkand. Samarkand, Pearl of the East, is a fabulous city whose very name conjures up the aroma of spices and visions of silk traders. 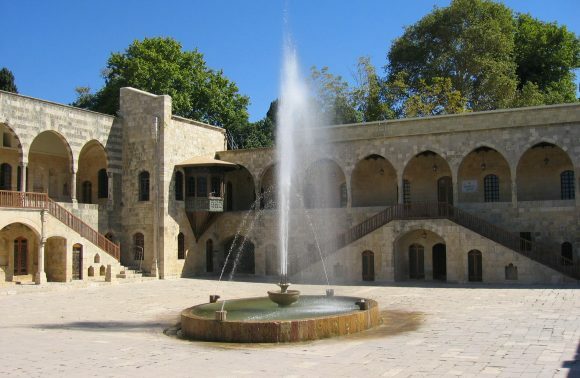 Explore its many sights, including Registan Square, Shah-i-Zinda and the Bibi Khanum mosque. 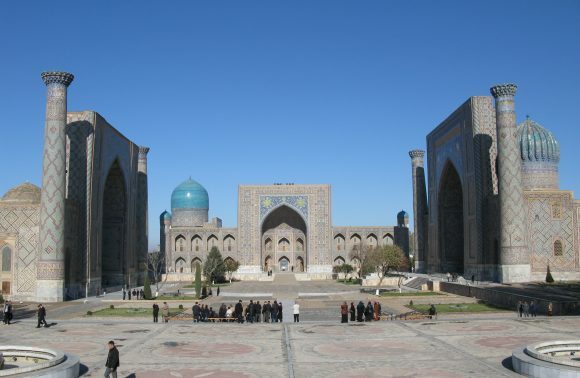 Today you will have another full day in Samarkand with your driver and guide to dig deeper into its delights. There will also be time to visit Koni Ghil Silk Paper Centre to observe the traditional methods involved in making silk paper. This morning is transfer through the cotton fields to Tashkent airport (a journey of 3-4 hours) for your departure flight. Local Guides days 1, 2, 3, 5, 6, 7, 8, 9.